The decision by the editors of The Economist to name their new weekly column on Latin America after Andrés Bello came as a soothing elixir to my beat-up sense of patriotism. After decades of the corrupt, the vulgar, the vain, and the violent taking center stage, it’s nice to read something about Venezuela that doesn’t make me want to hide my accent. “Bello was a liberal, but a realistic one, who believed that strong political institutions were essential to thwart anarchy and for liberty to flourish. 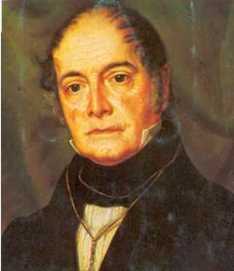 Whereas Bolívar argued that the new republics needed the discipline of top-down authority, Bello thought that to succeed they needed to create citizens, through universal public education and, above all, the rule of law (“our true patria”, he once wrote). In addition, he was an advocate for trade and an internationalist, insisting that the new republics should remain open to the ideas and products of the world. Thank you, The Economist. You’ve won yourselves a subscriber. Previous articleCould it be that the murder rate did peak in 2008?